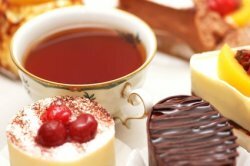 All over the world, England is associated with tea drinking and especially Afternoon Tea, so it may come as a surprise to find that, until the mid 17th century, England was a nation of coffee drinkers. The coffee house owners were responsible for introducing the English to tea and they were so successful that by the mid 18th century it had turned from a curiosity into a widely drank beverage. The government, never slow to take advantage, placed a tax on tea. This tax soon reached epic proportions and led to something up to then unheard of: tea smuggling! Even though cheaper, smuggled tea was still expensive and it was not until the prohibitive taxation was reduced that tea drinking really took off again. But now, the tea merchants faced another problem. It could take over a year for a ship to make the journey from the Far East to England, but the rewards were great. So in the interest of commerce, the delivery of tea turned into a race! 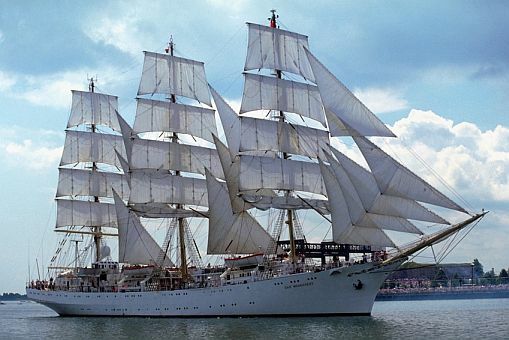 Tea Clippers, like the famous Cutty Sark, were the Formula 1 cars of the 1800s, reaching almost the same speeds as a modern cruise ship. They travelled between England and the Canton river in shorter and shorter times, each new record earning captain and crew a substantial bonus. 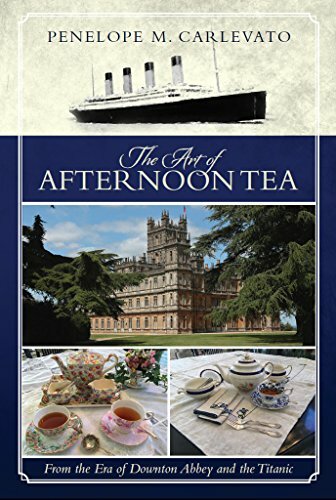 With tea now affordable and readily available, England was ready for the invention of afternoon tea. This custom is usually attributed to Anna, 7th Duchess of Bedford, who felt the need for a pick-me-up mid-afternoon. This idea proved so popular that low tea, so called because it was served on small tables in a lady's drawing room, was soon served in all fashionable households around four o'clock in the afternoon. The middle and lower classes also loved their tea, but did not usually have as much free time during the day. Instead, they opted to serve a more substantial high tea including sandwiches and savouries, at a proper 'high' dining table, around five or six o'clock. The best afternoon tea I've ever had was in the Savoy Hotel in London one December. We arrived promptly at 4pm and spent a couple of hours in the gorgeous Art Deco Thames Foyer where Noel Coward and Caruso used to perform. The mirrors alone were worth going there, but the food was not to be sneezed at either. Traditionally, the meal starts with dainty little sandwiches - strictly crusts off! Try cucumber, salmon and cream cheese, tomato, roast beef, ham or anything else the chef has dreamed up. All utterly delicious. Or check out some tea sandwich recipes here. After the sandwiches come the cakes and scones, freshly baked and scrumptious, of course. Then follow with petit fours - if you and your waistline can manage. And alongside all of this, of course, you will find a superb selection of teas (or even coffee if you must!). If you ever find yourself close to a tea shop or hotel when a winter afternoon closes in on you pop in for some tea. I promise you won't be disappointed. There's no reason why you cannot enjoy traditional tea in the comfort of your own home or serve it cosily to friends and family. You won't have to brave the rain and cold. Just select your nicest china - like those cheerful Cath Kidston mugs below - brew a pot of Earl Grey or Darjeeling, add dainty sandwiches, biscuits or scones and enjoy. However it is served, in grand surroundings or in your kitchen, the joy of afternoon tea is in comfort, sharing and relaxing over a plate of scones and a steaming mug of tea. And if you've read the news recently, you'll have noticed that more and more people are swapping their Latte to Go for a cosy mug of tea and plate of biscuits shared with friends. In England at least, business for teashop owners is booming. Long may it last! 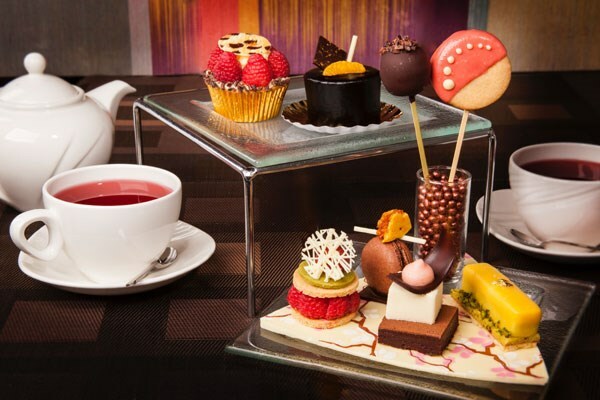 Is there more to English food than Afternoon Tea?